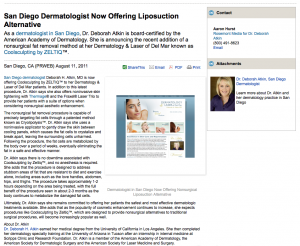 As a dermatologist in San Diego, Dr. Deborah Atkin is board-certified by the American Academy of Dermatology. 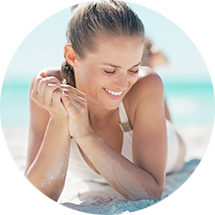 She is announcing the recent addition of a nonsurgical fat removal method at her Dermatology & Laser of Del Mar known as Coolsculpting by ZELTIQ™. San Diego dermatologist Deborah H. Atkin, MD is now offering Coolsculpting by ZELTIQ™ to her Dermatology & Laser of Del Mar patients. In addition to this latest procedure, Dr. Atkin says she also offers noninvasive skin tightening with Thermage® and the Fraxel® Laser Trio to provide her patients with a suite of options when considering nonsurgical aesthetic enhancement. The nonsurgical fat removal procedure is capable of precisely targeting fat cells through a patented method known as Cryolipolysis™. Dr. Atkin says she uses a noninvasive applicator to gently draw the skin between cooling panels, which causes the fat cells to crystalize and break apart, leaving the surrounding cells unharmed. Following the procedure, the fat cells are metabolized by the body over a period of weeks, eventually eliminating the fat in a safe and effective manner. Dr. Atkin says there is no downtime associated with Coolsculpting by Zeltiq™, and no anesthesia is required. She adds that the procedure is designed to address stubborn areas of fat that are resistant to diet and exercise alone, including areas such as the love handles, abdomen, hips, and thighs. The procedure takes approximately 1-2 hours depending on the area being treated, with the full benefit of the procedure seen in about 2-3 months as the body continues to metabolize the damaged fat cells. Ultimately, Dr. Atkin says she remains committed to offering her patients the safest and most effective dermatologic treatments available. She adds that as the popularity of cosmetic enhancement continues to increase, she expects procedures like Coolsculpting by Zeltiq™, which are designed to provide nonsurgical alternatives to traditional surgical procedures, will become increasingly popular as well. Deborah H. Atkin, M.D. earned her medical degree from the University of California in Los Angeles. She then completed her dermatology specialty training at the University of Arizona in Tucson after an internship in internal medicine at Scripps Clinic and Research Foundation. Dr. Atkin is a member of the American Academy of Dermatology, the American Society for Dermatologic Surgery and the American Society for Laser Medicine and Surgery. 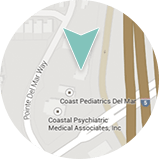 Dermatology & Laser of Del Mar is located at 12865 Pointe Del Mar Way Ste. 160 in Del Mar, CA 92014, and can be reached at (858) 350-SKIN, or found online at dermdelmar.com or the Dermatology & Laser of Del Mar Facebook page.